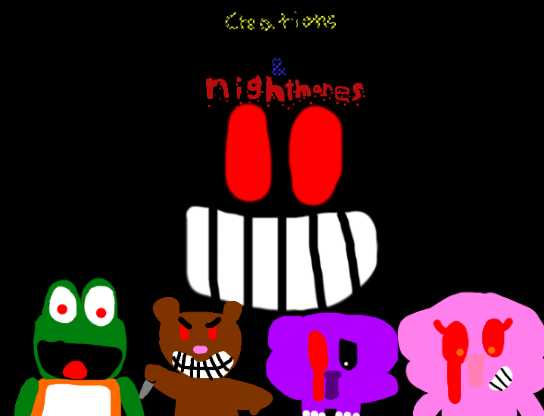 Creations & Nightmares is a horror game with a top-down view, as well as graphics and controls based off of PC RPGs. You play as Harvey, a normal guy that signed up for a game-dev job. But, the building he arrives in is not as it seems. 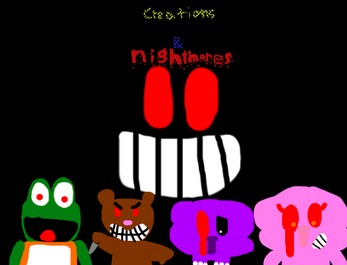 Escape the demonic creations like Snuggles, the murderous teddy bear, Wide Eyed Turtle, the smartest of The Wide Eyed Toys, Grape & Francine, two elephant siblings that work together, and even more! Added Part 4 to the game. Added 6 new Creations, The Mankey, Socky, Rose, The Womankey, Monskewer, and Clawdread. Added a new secret jumpscare.